for honoring a loved one’s life. 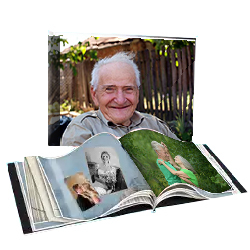 to create a keepsake worthy of your most treasured memories. that were meant to be remembered. A funeral is meant to celebrate and cherish the unique story of a person’s life. Recognizing the need to help families preserve memories of lost loved ones long past the goodbyes, My Yesterday was born. As a comprehensive story generation tool, the automated software creates biographies, cherished memories, and irreplaceable snapshots of history. My Yesterday provides keepsakes that friends and family can hold close as a permanent tribute to share with generations to come. The program writes and generates an individualized narrative based off of family-provided information. As users progress through a series of questions, My Yesterday identifies significant facts and weaves together a personal biography and/or a book with nothing but pictures and captions. 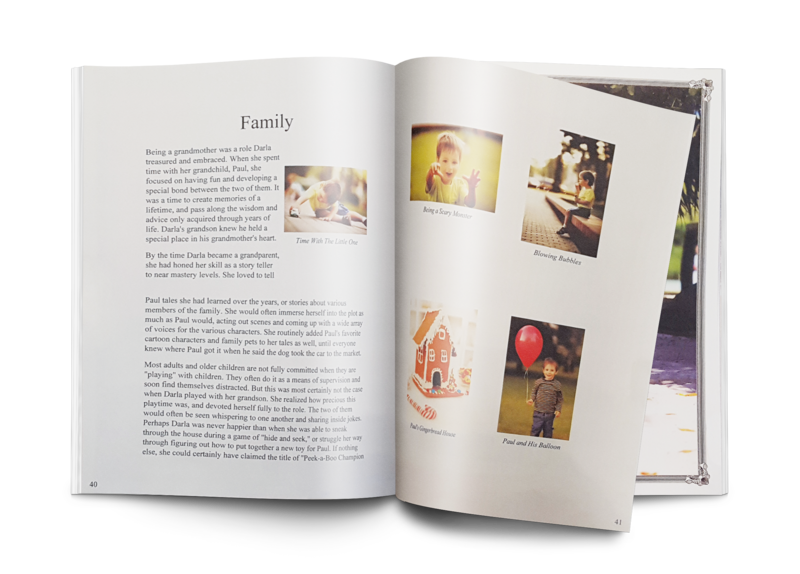 Users then have the ability to edit, personalize content, and add photos to truly capture the essence of their loved one’s journey through life. With the easy-to-use platform, you can personalize each story as much or as little as you wish. The choice is all yours. I really enjoyed the time I spent doing the My Yesterday on my husband, Glenn. It helped to hear what our family memories were. I will treasure this book forever. To me, life is all about “the story”. My Yesterday captures and records forever, exactly that. Wow. Reading the story of my grandfather’s life meant so much to me. Although I never got to meet my grandfather, I feel like I know exactly what was important to him and why he is so sorely missed by my grandmother and all who knew him. Thank you so much for creating a product like this. Using Myyesterday.com was so clear and easy. I loved the picture book that allowed me to use captions to explain what was happening in each photo. Your product is incredible. My Yesterday was easy to use and allowed me to easily capture what was important in my mother’s life. It’s a book that will become one of my family’s most prized possessions. The Short Story that Patrick gave to us helped make Bob’s funeral ceremony so meaningful. I just wished we had this when my mother passed. Thanks so much Patrick! Myyesterday.com helped me capture the story of my husband’s life so I can now share his memories and the impact he had on my life with my grandchildren. 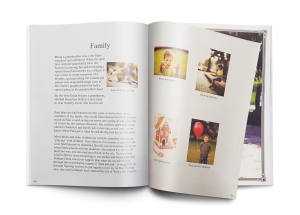 The steps to creating his My Yesterday were easy to follow, I can’t thank John enough for providing me with the opportunity to use such a simple tool that will provide my family and I a book we will treasure forever. Never having the opportunity to really know my great grandparents, I just hope that my great grandchildren and beyond can read, learn and relate to their families’ stories! Your edit tool is fantastic. It allowed me to really personalize the story about my husband. What a great idea! I have been looking for something like this for years, and finally someone created it! I am not a proficient writer and My Yesterday made this effort easy and fun.